Folate helps maintain homocysteine levels within the normal range, thereby promoting cardiovascular health. Folate also supports neurotransmitter synthesis—which in turn, helps maintain cognitive abilities. 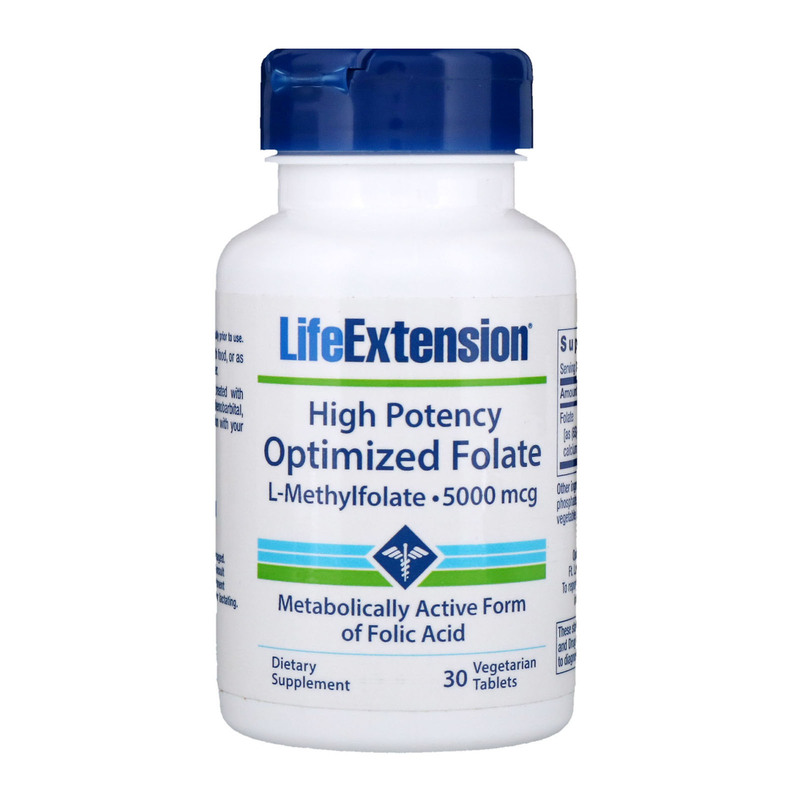 However, not everyone has sufficient activity of the enzyme required to convert folate to its biologically active form, 5-methyltetrahydrofolate, or 5-MTHF. For those whose homocysteine levels remain stubbornly high, the answer lies with the bioactive form of folate called 5-MTHF, which is up to seven times more bioavailable than ordinary folic acid. 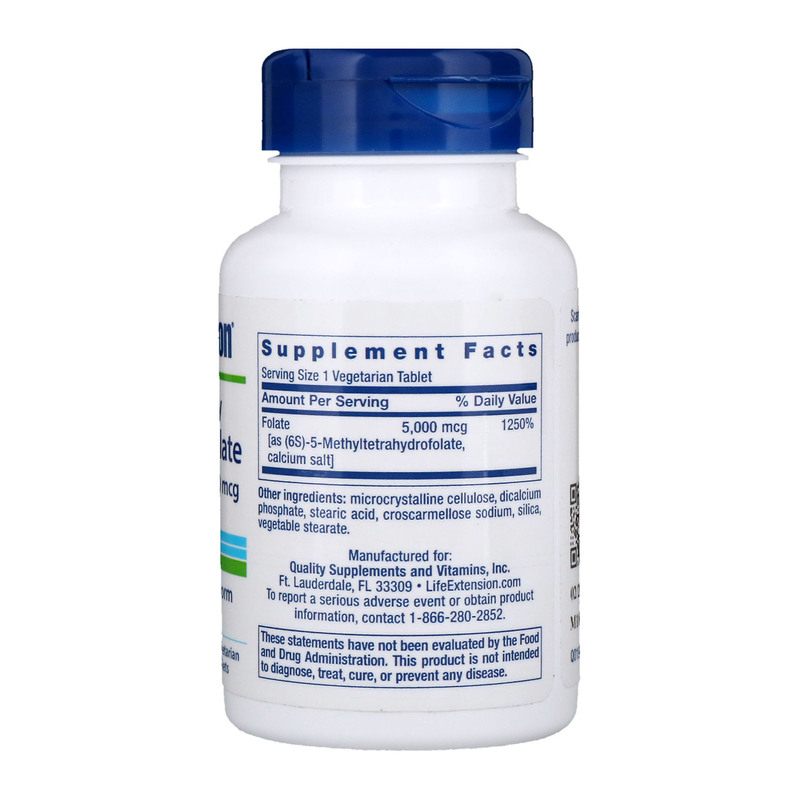 This unique compound requires no enzymatic conversion to become metabolically active— providing maximum support for both cardiovascular and cognitive health. Each vegetarian tablet of High Potency Optimized Folate provides 5,000 mcg of the metabolically active 5-MTHF form of folate. Take one (1) tablet daily with food, or as recommended by a healthcare practitioner. Microcrystalline cellulose, dicalcium phosphate, croscarmellose sodium, silica, vegetable stearate, stearic acid. Caution: Do not use this product if treated with methotrexate, fluorouracil, phenytoin, phenobarbital, primidone, or levodopa prior to consultation with your personal physician.